The sociologist and philosopher Jürgen Habermas has had a wide-ranging and significant impact on understandings of social change and social conflict. However, there has been no concerted and focused attempt to introduce his ideas to the field of education broadly. This book rectifies this omission and delivers a definitive contribution to the understanding of Habermas's oeuvre as it applies to the field. 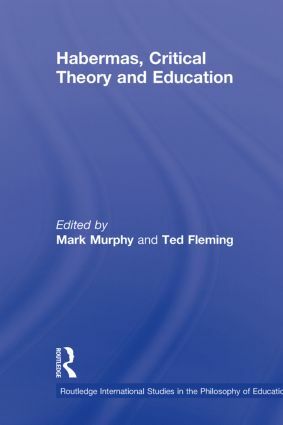 The authors examine the contribution Habermas's theory has and can make to: pedagogy, learning and classroom interaction; the relation between education, civil society and the state; forms of democracy, reason and critical thinking; and performativity, audit cultures and accountability. Additionally, the book answers a range of more specific questions, including: what are the implications for pedagogy of a shift from a philosophy of consciousness to a philosophy of language? ; What contribution can Habermas's re-shaping of speech act theory and communicative rationality make to theories of classroom interaction? ; and how can his theories of reason and colonization be used to explore questions of governance and accountability in education?